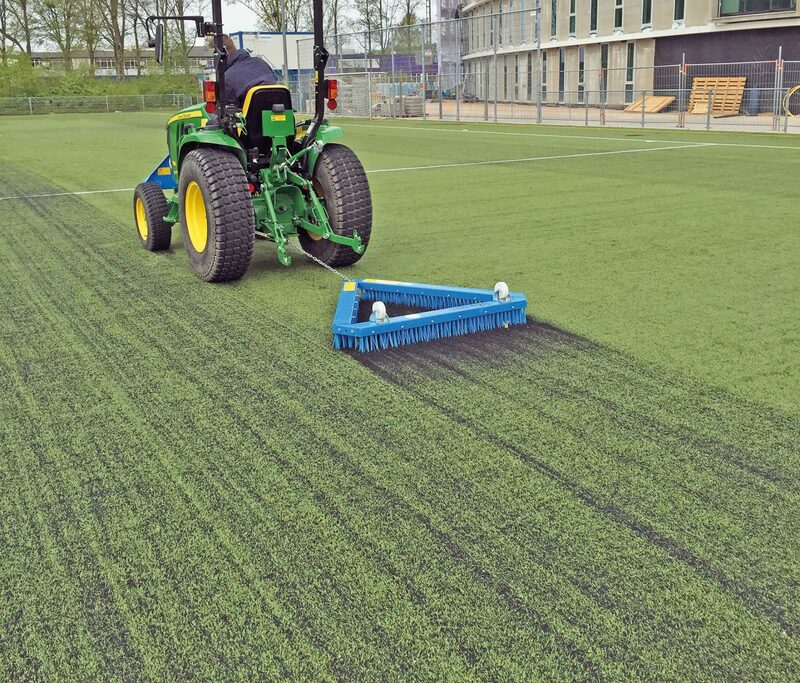 Most sports clubs carry out their own daily maintenance of their synthetic turf. We believe this maintenance should be done with quality equipment, in the same way a contractor would do the work. Since with quality, one will produce quality! 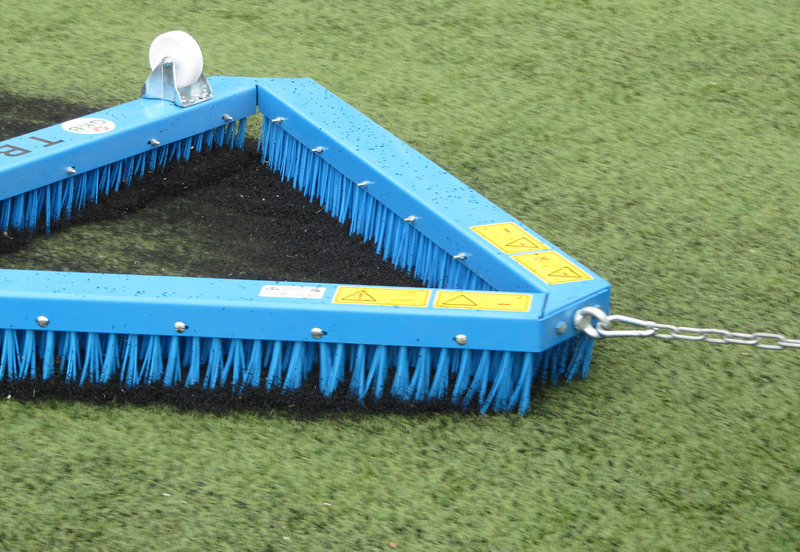 The T-Brush is a triangle brush that can be used for the daily maintenance of your synthetic turf pitches. This, our most straightforward brush, has been constructed with a premium steel frame in combination with completely synthetic brushes. These synthetic brushes provide you with a major advantage, since they will not decay due to the effects of water. 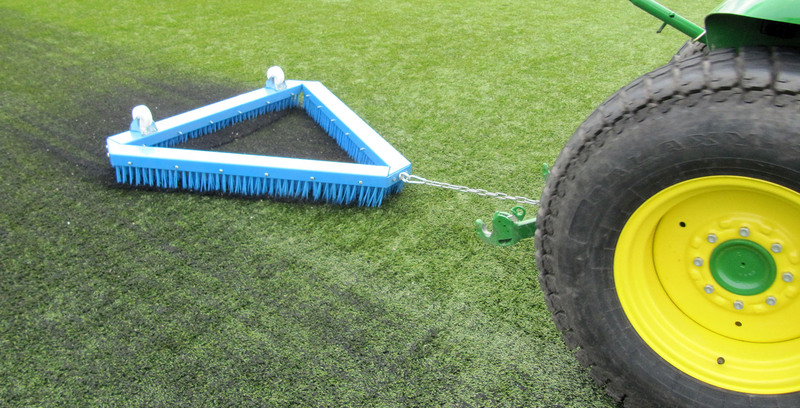 Furthermore, we deliver the T-Brush with wheels and a tow chain as standard. Are you looking for a triangle brush? We can deliver you the most sustainable triangle brush available on the market.